Due to the large snowstorm hitting Cheyenne, TBAC offices will be closing at NOON today, March 13th. We will also be closed Thursday March 14th. We will be open again as soon as the roads and weather conditions are safe for everyone to return to work. In the mean time, we are still answering emails and returning calls from voicemail. 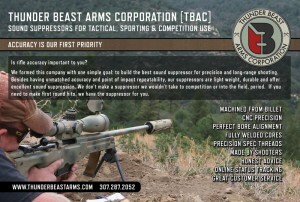 LOOKING FOR A TBAC SILENCER? We’ve been kicking around the idea of a bipod for half a decade; in 2017 we tasked our R&D engineers to start working on it. We combined the ideas from each of our “favorite” bipods, optimized them for actual field usage models, added a few new innovations and good ideas, and then tested the hell out of it for over a year. The result is what we just call the TBAC Bipod. We will be accepting TBAC BIPOD orders starting at SHOT Show 2019. The first units should be available in approximately March. We will not accept orders, pre-orders, or backorders until then. Our partial 2019 training schedule is now available! 2019 TBAC Training Group Schedule. Come shoot with our principal instructor Brian Whalen and learn the ins and outs of practical long-range field shooting at any level! We are pleased to announce the new 338 ULTRA SR suppressor. 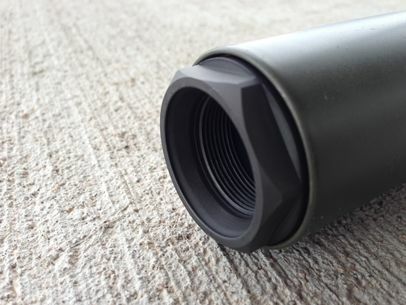 This is the first suppressor to feature our “SR” mount. The SR mount is our “QD” style mount that maintains the absolute accuracy and repeatability standards we are known for while offering more rapid mounting and removal and featuring a Secondary Retention (“SR”) or “Locking” collar. This mount meets the mil spec represented in the 2017 Advanced Sniper Rifle (ASR) solicitication, and the 338 ULTRA SR is the suppressor that Accuracy International North America chose for their ASR rifle system submission. 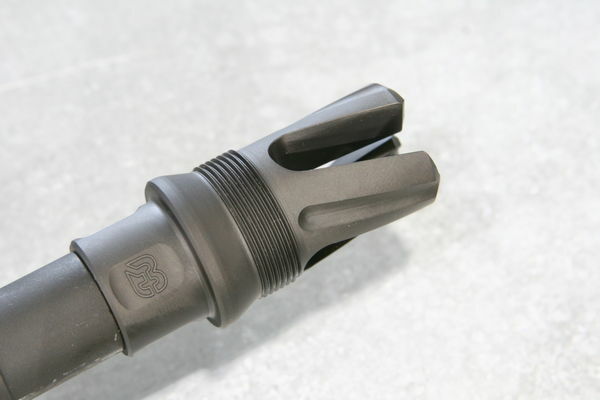 The main feature of the SR mount is that it acts as a secondary, fail-safe, locking mechanism to retain the suppressor on the muzzle brake in all circumstances, unless explicitly removed on purpose, by hand. It also reduces the number of turns required to mount the suppressor due to a coarser thread and enables “Quick Mount” and “Quick Detach” functionality of the mount. The mount is mechanically very simply and user-level maintenance is possible. The SR mount uses a novel paw and cam-path system to ensure that “full lock up” can happen in either of the two adjacent detent slots for any given final shouldering position of the suppressor on the conical brake shoulder. This categorically avoids the “off by one” problem that many “clicky” mounts have. The SR mount has the exact same accuracy, repeatability, and return-to-zero characteristics that all our precision suppressors are known for. This mounting system is covered by US Patent 9,791,234. For more details, please visit the 338 ULTRA SR Product Page. The 338 ULTRA SR will be offered for sale starting the first morning of the 2019 SHOT Show (Jan 22nd). We will not accept orders, pre-orders, or backorders until then. We have a considerable stock of these available but after that initial stock is depleted, additional orders will be subject to our normal production backlog. Our offices will be closed Friday Dec 21st at 1:00PM for our company Christmas Party, and continue to be closed the following Mon-Tues (Dec 24-25) in observance of Christmas. We will be open Dec 26-28th (Wed-Fri) normal business hours. We will also be closed Dec 31st – Jan 1st (Mon-Tue) in observance of New Year’s Day. Normal office hours will resume Jan 2nd, 2019. Hello! Our offices will be closed Wed Oct 17th from 11 AM to close for staff range day. Our offices will reopen normal hours on Thursday. TBAC GROUP BUY ENDS WEDNESDAY! We will be closed Monday Sept 3rd. Our office will be back to normal hours on Tuesday Sept 4th. Thank you! Looking for us this week? We’ll be here, cranking out suppressors and getting forms filed. The last couple years we’ve been at the NRA AM show. This year we’re skipping it to keep the shop and office running 100%. Right now our backlog for new orders is 8-10 weeks due to very strong demand. Our goal is half that or less. We’ll miss seeing you, but please stop by at SHOT 2019. For current availability of suppressors, please use our TBAC Suppressor Locator and Availability Tool. 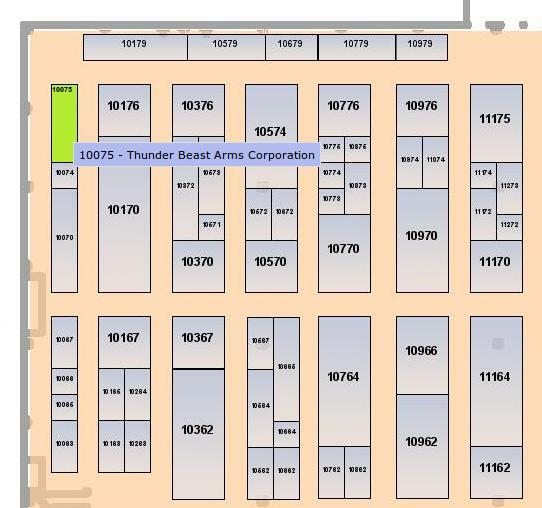 We will be at the SHOT Show next week, booth 10075. That is on the main Level 2, in the far corner past the Magpul booth. Ray, Zak, Amanda, Kurtis, and Sutherland will be there to answer your questions and we will be taking dealer orders. Come see us if you’ll be at the show! We have two new, related, products: The 556 TAKE DOWN suppressor and our “Dedicated Suppressed Upper” (or DSU). We are very excited to announce that we have some 2018 TRAINING dates. We have broken down our classes into 4 categories, 1-3 are based on skill levels, while our LVL 3+ classes are special skills classes such as High Angle, Extreme/Extended Long Range and Competition Preparation. We are also excited to announce that we have three extraordinary venues for our classes. From the High Desert of the New Mexico Blue Steel Ranch to the Rolling Plains of Beautiful Colorado to the Gorgeous Mountain Valleys of Douglas Wyoming. Regardless of the class level, location or scenery that you’re looking for we have the class for You! LVL 1, 23-25 February 2018, Blue Steel Ranch, Logan NM. LVL 2, 9-11 March 2018, Blue Steel Ranch, Logan NM. LVL 3, 20-22 April 2018, Blue Steel Ranch, Logan NM. LVL 1, 29 June- 1 July 2018, Blue Steel Ranch, Logan NM. LVL 3+SS (Special Skills) 10-12 August 2018, Douglas WY. Not sure which class is right for you, please feel free to contact us at 910-257-0848 to help place you in the appropriate class skill level. Our offices will be closed July 3-4th for the long July 4th weekend. Happy Independence Day! We will be open normal hours starting Wednesday, July 5th. TBAC GROUP BUY - YOU STILL HAVE TIME! 2016 TBAC GROUP BUY LIVE NOW! Ultras and 22 Takedowns available! 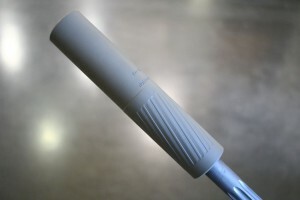 Silencer Locator Tool - Now Even Better! 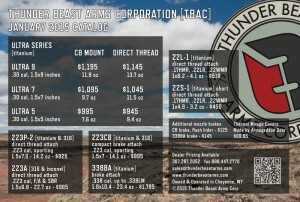 TBAC's new 223 ULTRA 7 ! Come see it at SHOT Show, booth 8407! 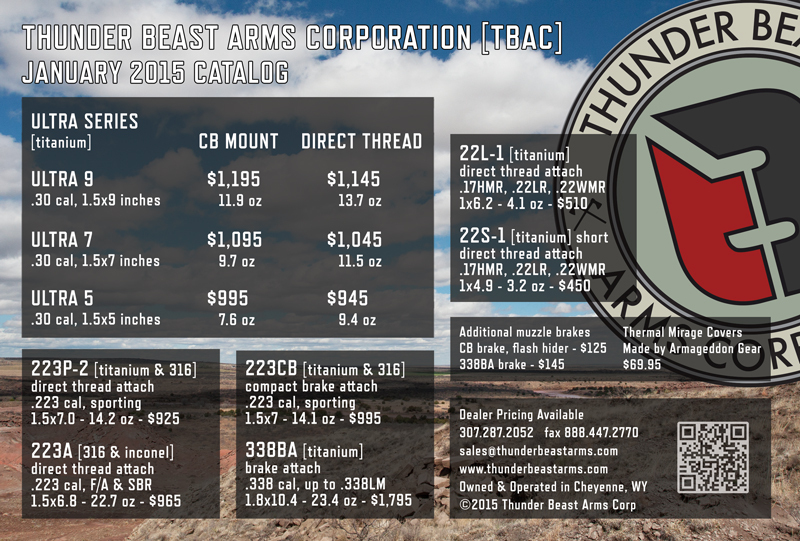 TBAC 22 "TAKE DOWN" SUPPRESSOR ANNOUNCED! 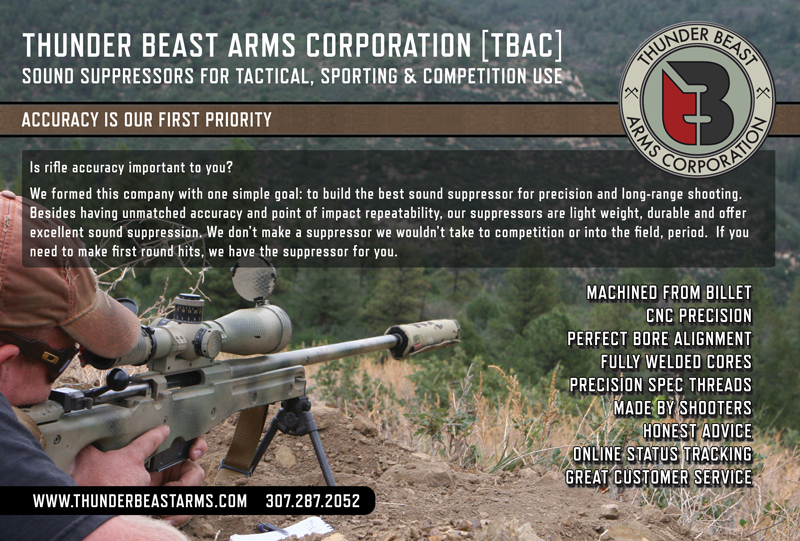 ANNOUNCING TBAC’s FIRST TAKE-APART SUPPRESSOR! The 22 TAKE DOWN is our next-generation .22LR suppressor. This multi-purpose can works great on pistols and rifles chambered in .22 LR, .22 WMR, .17 HMR, 5.7×28, and similar calibers. The 22 TAKE DOWN is 2-3 dB quieter than the 22L-1, which is widely regarded as one of the quietest .22 suppressors on the market. It’s 5.6″x1.0″ and weighs 5.9 ounces. It is user-serviceable and may be easily taken completely apart by the end user. The 22 TAKE DOWN will be priced at $395 and we will be accepting the first orders at the SHOT SHOW. Production will start just after SHOT SHOW. We will be closed November 26-27 in observance of Thanksgiving. Do I need a 6.5mm brake for my 6.5 Ultra 7 or 9? TBAC Logo Velcro Patches NOW AVAILABLE! We built our reputation on making suppressors that were ideal for precision and long-range rifle shooting. As shooters, we only build products that we would take to the field or to competition. The 30P-1, 30BA, and 30 CB series have set the standard for precision rifle suppressor performance. They are a hard act to follow. We are pleased to announce our new ULTRA Series suppressors. What is the ULTRA Series? Simple: we took everything great about the 30P-1 and 30CB9 and then made them lighter, quieter, and stronger. 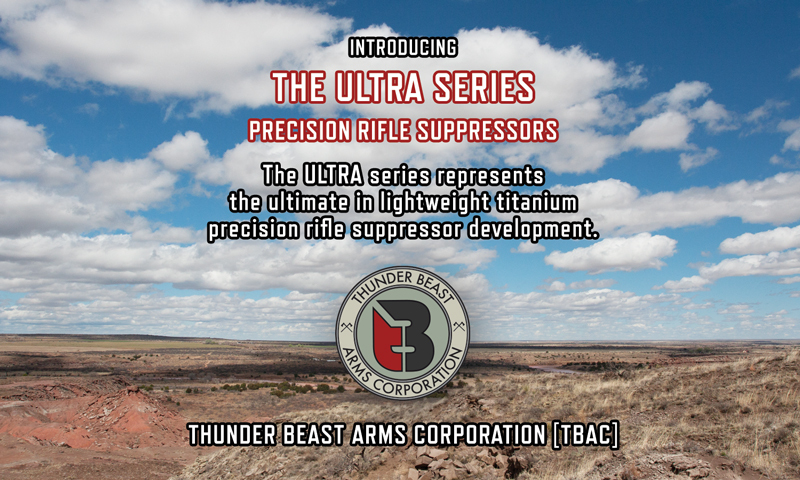 The ULTRA Series now represents the lightest 9-inch, 7-inch, and 5-inch .30 caliber suppressors on the market. The ULTRA 9 weighs 11.9 ounces. The ULTRA 7 weighs 9.7 ounces. And the ULTRA 5 weighs 7.6 ounces. That’s not all. While we were at it, we improved the suppression performance to class-leading levels. The ULTRA 9 and 7 are 4-5 dB quieter than the 30CB9 and 30CB7 (30P-1 and 30PS). The ULTRA 5 is 7-8 dB quieter than the 30CB5/30PSS. The new ULTRA 7 is quieter than the old 30P-1/30CB9. 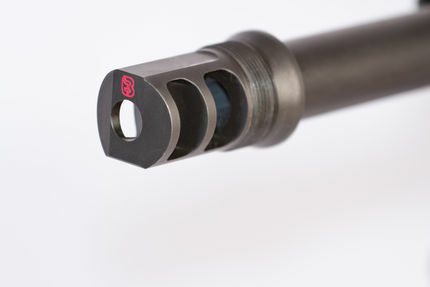 They are available in either our Compact Brake (CB) “Thread Over Muzzle Brake” (TOMB) mount or in a direct thread mount. The CB mount and direct thread mount have equivalent accuracy and repeatability. The .30 caliber ULTRA series suppressors also have the flexibility to be changed from direct thread to CB mount and vice versa via a simple factory service operation, in case your needs change. The ULTRA Series will be available to order starting January 20th, 2015. During the week of Jan 19-23rd, we will be at the SHOT Show and generally unavailable to take phone calls. If you are at SHOT, please stop by and say hello; we will be at booth 8407. Here’s a hint at what we’ll be showing off at the 2015 SHOT Show in a couple weeks. GET GROUP BUY ORDERS IN BY FRIDAY! The end of the 2013 “Group Buy” is coming up fast! To qualify for the Group Buy, please get your orders in by this Friday, Sept 19th. CB Brakes Now Available to Order! We are pleased to announce our new Compact Brake (“CB”) and a series of .223 and .30 caliber suppressors that utilize it. Even though the mount on the old 30BA was rock solid, everyone knew it was too big and ugly a brake for most .223 and .30 caliber rifles. You asked for a smaller brake, and now we’ve delivered. We’re proud that TBAC suppressors were the most popular – by a margin of 50% more than the one that was second-most-popular. Two question on just about every person’s mind are, “Are my existing muzzle threads OK?” and “Who can thread my muzzle and what are the specs?” We’ve started to put together some instructional videos to explain thread fit and how we verify that our threads and in-spec.